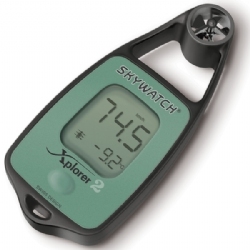 This sleek carrying case with Velcro flap for secure closing was designed specifically for Skywatch's series of anemometers, one for the Xplorer series, one for the Geos 11, and a larger one for the Eole/Meteos anemometers. 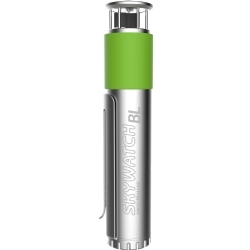 You depend on your Skywatch instruments to tell you what's happening with the weather out there; Now you can depend on this unique case to help protect it. 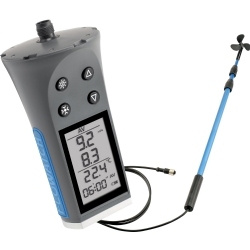 The USB interface and software for the Geos Portable Weather Station connects your Geos to your PC, enabling you to download all stored data, view historical and real-time data from your Geos, and make calibration adjustments to the instrument itself. 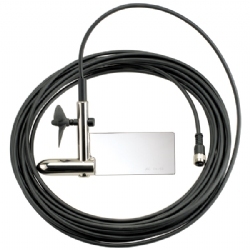 Connects to your PC via USB and to your Geos via remote sensor. 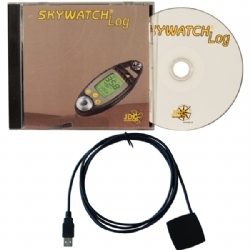 Only for use with Windows 98 or higher. 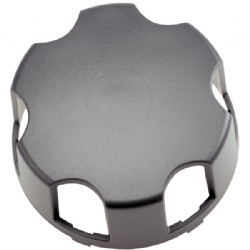 The metal support designed to mount a Geos unit in place and record the measurements of the outside elements. 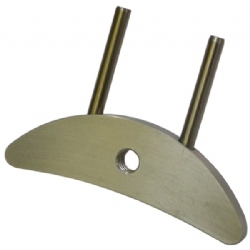 This metal support is a handy addition to the Geos portable weather station. 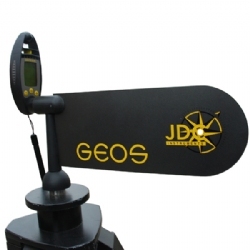 Wind Vane for the Geos High-Precision Portable Weather Station. 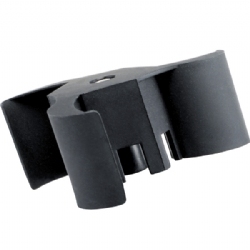 Made to mount with unit on tripod. 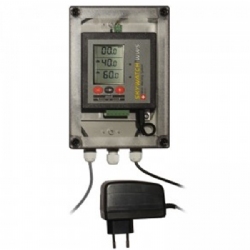 The Flowatch by JDC Electronics is a top-qualtiy precision instrument that measures the flow of almost any liquid or gaseous medium. 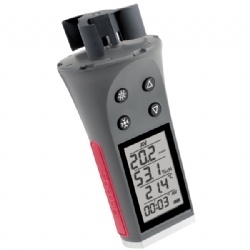 SWISS-made like all their products, the Flowatch is a competitively priced instrument and acts as a flowmeter and thermometer, having been developed for use under challenging circumstances. 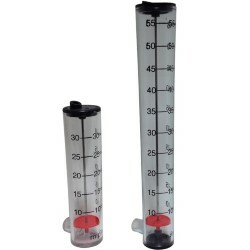 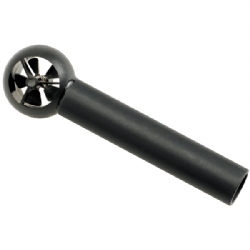 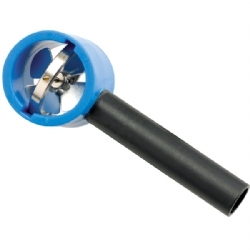 Because of its different impellers, you can use it to measure almost any liquid or gaseous medium. 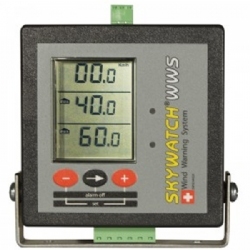 A replacment top piece for use with the Eole by Skywatch. 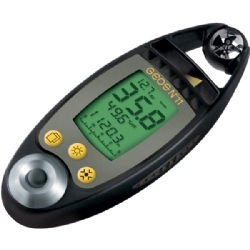 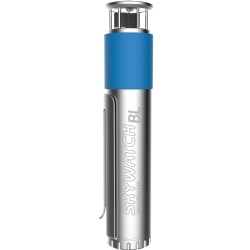 The Skywatch Flowatch carbon rod is 10cm long and allows the Flowatch to be used as a handheld windmeter. 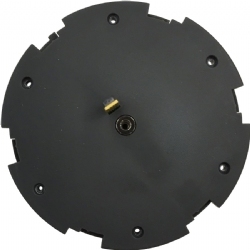 A replacment Air Impeller for use with the current AWS and WWS systems along with older model Eole, Meteos, Atmos, and Geos by Skywatch. 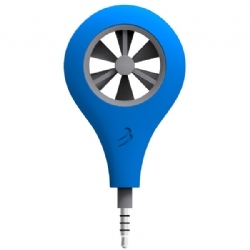 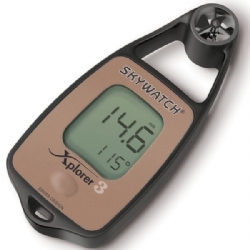 A replacement air impeller for use with the Xplorer 1, 2, 3, and 4 by Skywatch. 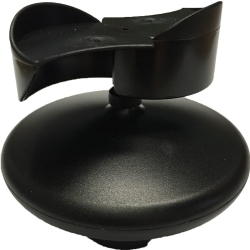 A replacment Cap to cover the air impeller for use with the Eole, Meteos, and Atmos by Skywatch. 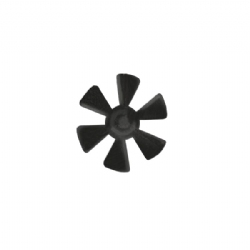 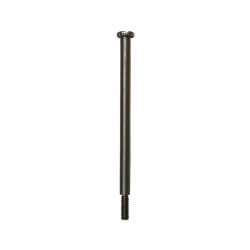 A replacment screw for the 54mm Air Impeller for use with the Eole, Meteos, and Atmos by Skywatch. 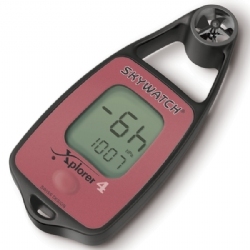 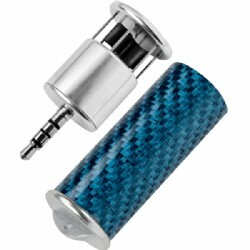 A replacment top piece for use with the Atmos by Skywatch, including electronics and sensor for Temperature, Wind Chill, Humidity, and Dew Point readings. 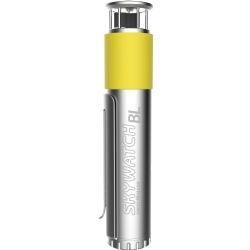 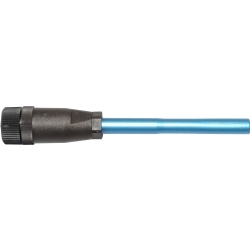 This hanging sensor is for use with the Flowatch by Skywatch, measures water current. 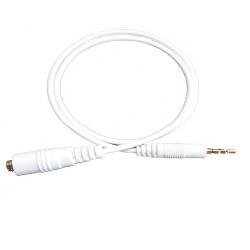 Includes a 15 meter cable to attach to the unit. 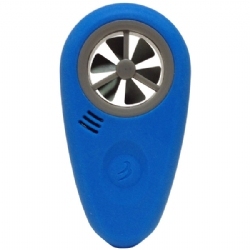 This instrument was developed for protecting persons and properties that may be subject to strong winds. 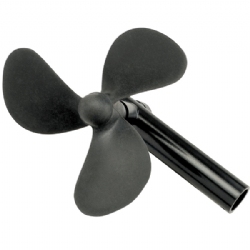 It consists of a display unit of the wind force, with a 4 programmable warning thresholds, and a multidirectional turbine (wind sensor) enabling measurement of the wind in the horizontal plane and in the vertical as well. 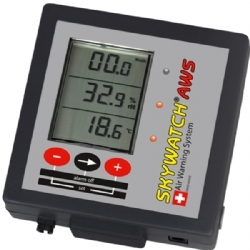 Skywatch AWS offers three functions : it measures, displays and warns ther user both visually and audibly of air speed (W), temperature (T) and humidity (H). 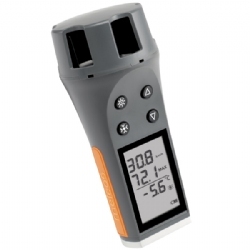 Minimum and maximum values for temperature and humidity can be adjusted individually. 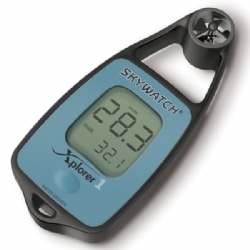 Air (wind) speed can measured on two levels (Hi & Lo). 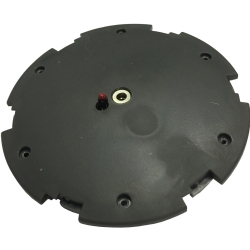 The control unit, which operates independently from the sensors, is designed for multiple applications. 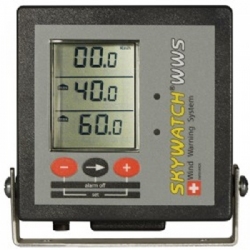 The JDC Skywatch MK1 Porosimeter is an easy-to-use, reliable, and very precise porosimeter to measure the porosity of fabrics that is now used and appreciated world wide. 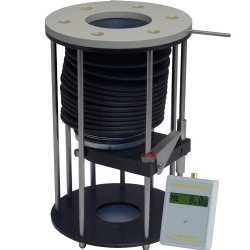 The porosity can be calculated by measuring the time it takes for 0.25 liters of air under 10mbar pressure to go through 38.5 cm2 of cloth. 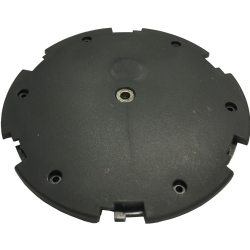 The MK1 is frequently used by cloth manufacturers, free flight schools/shops, paraglidering and hangglidering manufacturer, ballooning, and paper manufacturers. 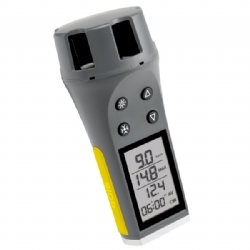 The JDC Skywatch MK2 Porosimeter is an easy-to-use, reliable, and very precise porosimeter to measure the porosity of fabrics that is now used and appreciated world wide. 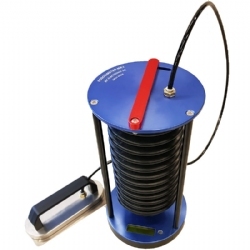 The porosity can be calculated by measuring the time it takes for 0.25 liters of air under 10mbar pressure to go through 38.5 cm2 of cloth. 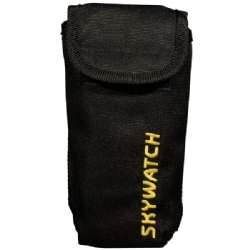 The MK2 is frequently used by cloth manufacturers, free flight schools/shops, paraglidering and hangglidering manufacturer, ballooning, and paper manufacturers.